From L – R : Mateo, Micheal, Makie, William, Eman and Me…. It gives me goosebumps every time I watch this. I hope you’ll watch it and can reflect on it too. So guys always look twice before changing lane! Kudos to the people behind this short film. ‘Hope I can do a pinoy version of this video. How do you keep your black Rouser shinning black? 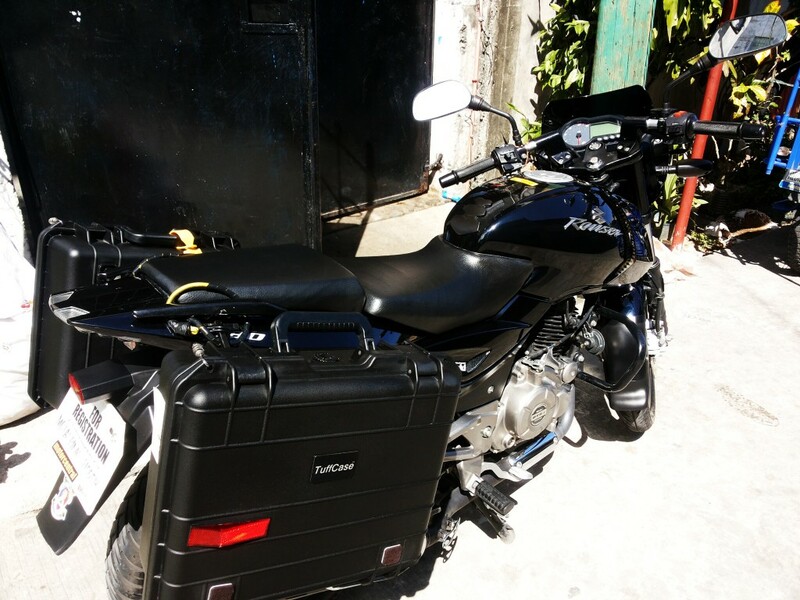 Someone ask me last bike (Kawasaki Rouser 180) meetup “tambayan” how do I keep my “motmot” (lingo for motorcycle) black and shinny. I just smiled and did not answered…. (because it’s top secret! nah! Just kidding.) Althought its not that special. 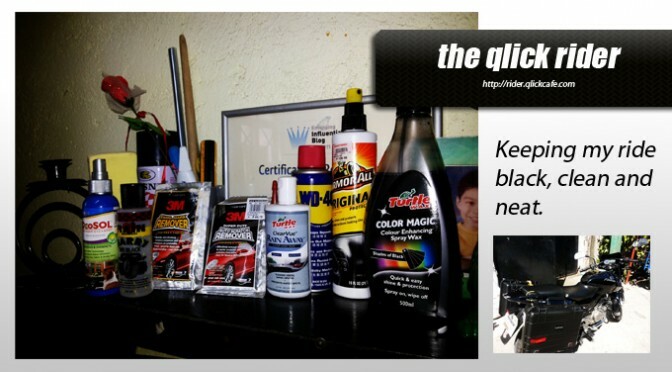 I’m only maintain a regular visit in the carwash and a regualar maintainance using the following product from my bike garage. 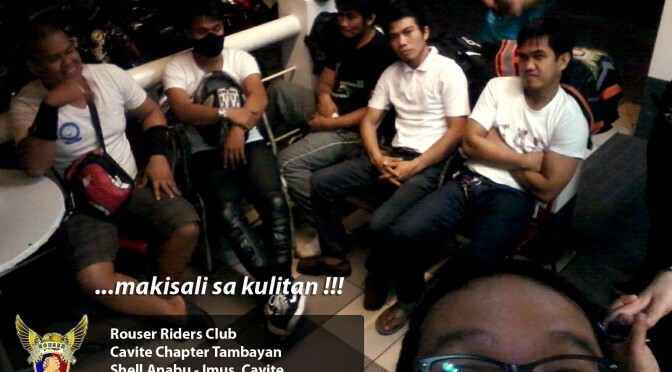 Yesterday night, ‘was the RRC Caviteneos’ Official “Tambayan” Bike night schedule. We’re back from my alma mater tambayan at Shell Anabu in Imus Cavite infront of Puregold Imus. This is where my first made my first attendance, first ride, first “semplang sa buhangin” and first meet the group. 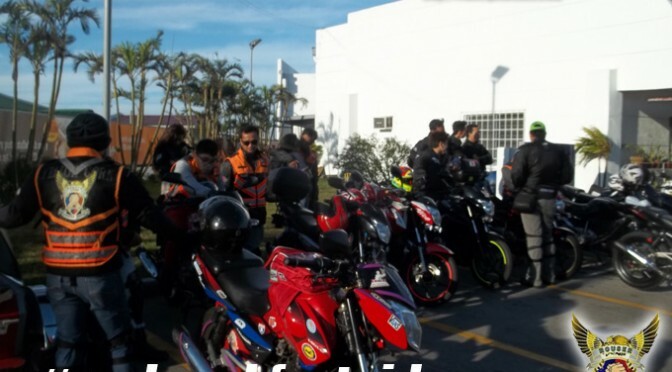 I arrived a little late because I need to pickup my wife from work in Carmona because she’s curios of what’s happening in our “tambayan” bike nights. 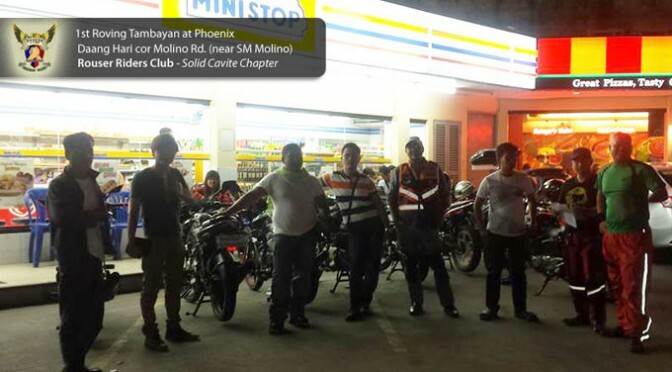 As what has been discussed previous bike night “tambayan” meeting, the group have decided to do a roving bike night (every Monday evening) within Cavite Area to improve visibility of the Chapter and the entire club. As usual, it was a fun and giggling gathering mixed with troops’ antics and “beki” jokes.